30 Marlborough is located on the south side of Marlborough, between Arlington and Berkeley, with 28 Marlborough to the east and the First Lutheran Church to the west. 30 Marlborough was built ca. 1863, one of five contiguous houses (22-24-26-28-30 Marlborough) built as a single block, with a rusticated stone base at the first story with arched entryways and windows, and a heavy cornice at the roof line. 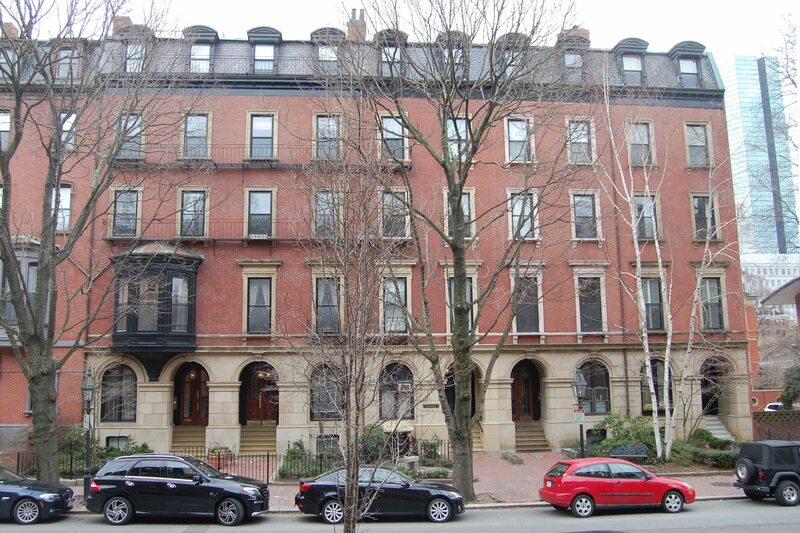 Click here for an index to the deeds for 30 Marlborough. On February 8, 1865, 30 Marlborough was purchased from the Augustus Thorndike estate by Edward Darley Boit. He and his wife, Jane Parkinson (Hubbard) Boit, made it their home. They previously had lived in Jamaica Plain. Edward Boit was an owner of the Oriental textile mills in Rhode Island and a commission merchant dealing in woolens, with offices in Savannah, Georgia. Living with them were their unmarried children: Elizabeth Green Boit, Robert Apthorp Boit, Jane Hubbard Boit, and John Boit. By 1868, they were also joined by their married son, Edward Darley Boit, Jr., and his wife, Mary Louisa (Cushing) Boit. He was an attorney and later an artist; they previously had lived at 110 Beacon. Elizabeth Boit married in June of 1867 to Joseph Hurlburt (Hurlbut) Patten and they moved to Providence. The Boits continued to live at 30 Marlborough until the fall of 1868. Edward and Jane Boit probably moved to Newport, where they were living at the time of the 1870 US Census. Edward, Jr., and Mary Boit moved to 1 Mt. Vernon Place in 1869 and to 91 Marlborough by 1870. Robert Apthorp Boit graduated from Harvard in 1868, joined his father’s firm, and moved to Savannah. Jane Boit married in June of 1870 to Arthur Hunnewell; after their marriage, they lived at 273 Clarendon next door to Edward and Mary Boit. On August 31, 1868, 30 Marlborough was purchased from Edward Boit by Henry Fowle Durant. He and his wife, Pauline Adeline (Fowle) Durant, made it their home. They previously had lived at 77 Mt. Vernon. Henry Durant was a former lawyer who gave up his practice in 1863 to become an evangelist preacher. In 1870, he and his wife founded Wellesley College at the site of their country home. Thereafter, he served as treasurer of the college. Henry Durant died in October of 1881. Pauline Durant continued to live at 30 Marlborough. In about 1903, she was joined at 30 Marlborough by Dr. Robert Soutter, a physician and orthopedic surgeon. He was her first cousin, once removed: her mother, Pauline (Cazenove) Fowle was the sister of Robert Soutter’s grandmother, Harriet (Cazenove) Lamar. He continued to live there until his marriage in August of 1904 to Helen Elizabeth Whiteside, after which they lived at 51 Hereford. On April 27, 1907, Dr. Soutter acquired 30 Marlborough from the estate of Henry F. Durant. Pauline Durant continued to live there until about 1914, when she moved, probably to Wellesley where she was living at the time of her death in February of 1917. On November 19, 1913, Dr. Soutter transferred the property to his wife. 30 Marlborough was not listed in the 1915-1919 Blue Books. By the 1919-1920 winter season, it was the home of William Amory Parker and his wife, Elise (Ames) Parker. He was a bond broker. They continued to live there in 1923. On February 14, 1923, 30 Marlborough was purchased from Helen Soutter by Marian Linzee (Weld) Minot, the wife of Dr. George Richards Minot. They previously had lived at 247 Beacon. George Richards Minot was a physician, professor of medicine, and director of Harvard’s Collis P. Huntington Memorial Hospital. He was a pioneer in research on blood diseases and in 1934 received a Nobel Prize for his work with William P. Murphy and George Hoyt Whipple on the treatment of pernicious anemia. He maintained his medical offices with his father, Dr. James Jackson Minot, at 188 Marlborough. The Minots continued to live at 30 Marlborough until mid-1929. During the 1929-1930 winter season, they lived temporarily with his father at 188 Marlborough, after which they moved to Brookline. On June 19, 1929, 30 Marlborough was purchased from Marian Minot by Agnes Hoppin (Grew) Wheeler, the wife of attorney Alexander Wheeler. They previously had lived at 130 Marlborough. They also maintained a home in Manchester until about 1934. 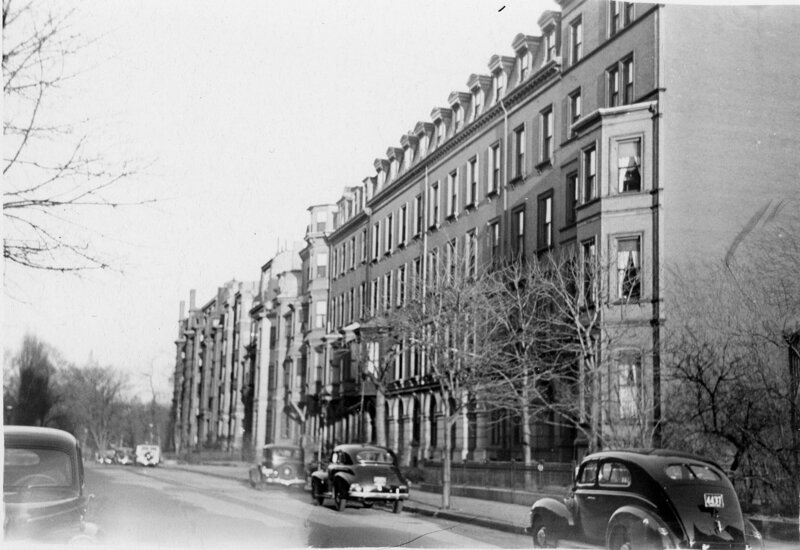 The Wheelers continued to live at 30 Marlborough until about 1938 , when they moved to an apartment at 65 Commonwealth. On May 16, 1938, 30 Marlborough was purchased from Agnes Wheeler by Charles Hildon Cooper. In July of 1938, he applied for a lodging house license and was informed that the license could not be issued until adequate egress was provided. When he acquired 30 Marlborough, Charles Hildon Cooper had entered into a mortgage with Margaret T. Moll which she subsequently assigned to William Karmazine. On August 26, 1939, he foreclosed on the mortgage and transferred the property to Phyllis A. Goodman. 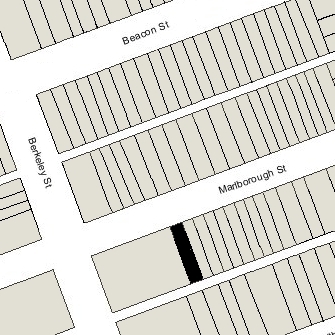 In October of 1939, William Karmazine applied for (and subsequently received) permission to erect a fire escape on the rear of 30 Marlborough to provide the egress required for it to be used as a lodging house. On March 15, 1940, Phyllis Goodman transferred 30 Marlborough back to William Karmazine as trustee of the Esdith Realty Trust, which he had established to hold property for the benefit of his two daughters, Esther Reece Karmazine and Judith Shaefer Karmazine, and his niece, Enid Esta Karmazine, daughter of his brother, Nathan Karmazine and his wife, Mae (Lipsher) Karmazine. On January 5, 1948, 30 Marlborough was acquired from William Karmazine by Miss Mary Brennan. She lived at 213 Beacon with her mother, Sophia Annie (MacDonald) Brennan, the widow of Donald C. Brennan. That same month, Mary Brennan filed for (and subsequently received) permission to remodel the basement level to add an apartment, changing the occupancy from a lodging house and single-family dwelling to a lodging house and two-family dwelling. In January of 1950, Mary Brennan acquired 134 Beacon, where she moved and also operated a lodging house. 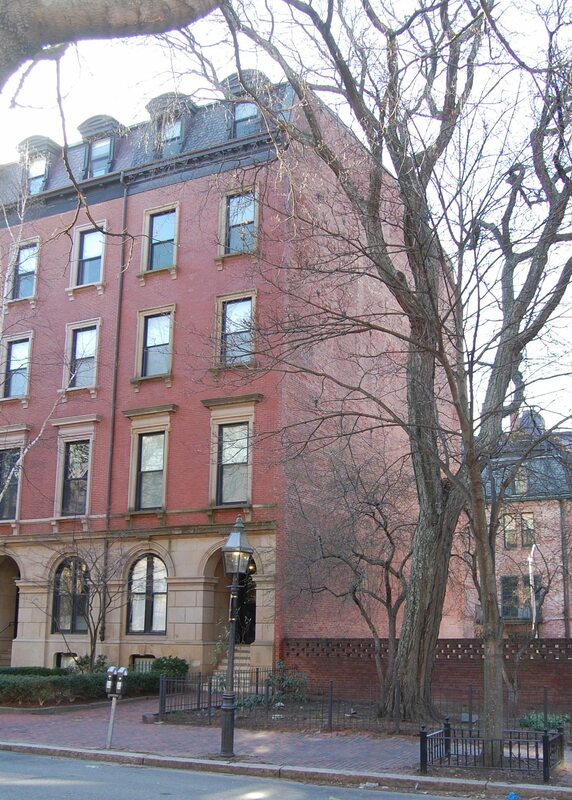 She continued to live there until 1964, when she sold the house to Emerson College and moved to 30 Marlborough, which she continued to operate as a lodging house. On April 15, 1983, 30 Marlborough was acquired from Mary Brennan by James Saunders. trustee of the 30 Marlborough Street Trust. At the time of the transaction, Mary Brennan lived in Hyannis. 30 Marlborough continued to be operated as a lodging house. On February 25, 1995, 30 Marlborough was acquired from James Saunders by Jean Abouhamad, president of Sea-Dar Construction, as trustee of the Thirty Marlborough Nominee Trust. In March of 1995, he filed for (and subsequently received) permission to convert the property from a lodging house into three apartments. 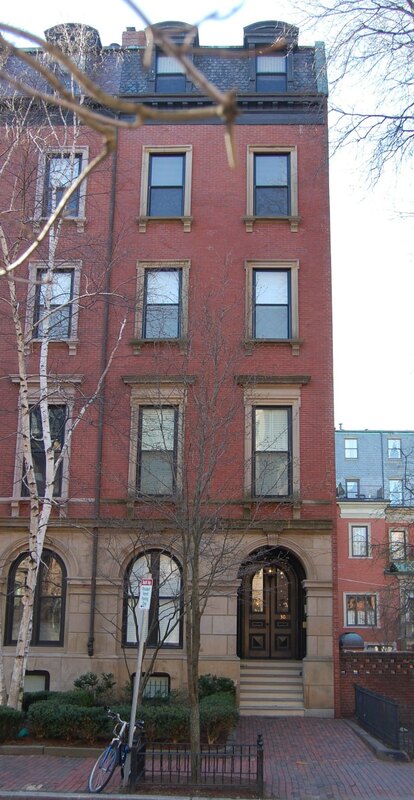 On May 1, 1996, the Thirty Marlborough Nominee Trust converted the apartments into three condominium units, the 30 Marlborough Street Condominium.